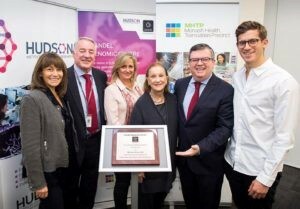 Established at the Hudson Institute and located at the Monash Medical Centre in Clayton Victoria, the MHTP Medical Genomics Facility services Monash Health Translation Precinct (MHTP) partners, Hudson Institute, Monash Health and Monash University, as well as the wider Victorian and National scientific community. The MHTP Medical Genomics Facility provides a comprehensive range of genomic technologies and expertise to accelerate research and clinical diagnosis. A commitment to quality and client support is paramount to our services. Launch of the Gandel Genomics Centre to enable next generation health care.